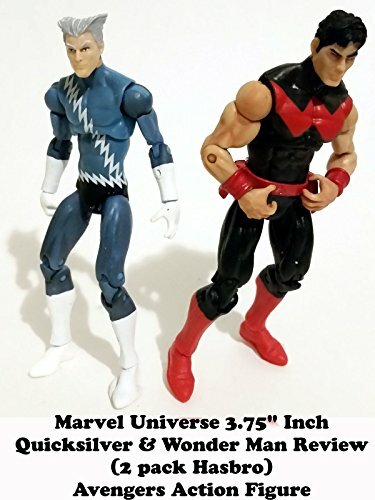 This is a Marvel Universe 3.75" inch QUICKSILVER & WONDER MAN 2 pack review. Made by Hasbro as part of there Greatest Battles comic pack. A fantastic set and the best part is that it is two new characters. And not a case where one figure was previously released before. This set is all new. Quicksilver has been in the X-men groups and Wonder Man the Avengers. Just a fantastic set.